Yep. I loved this novel so much, I blurbed it. "An absolutely transcendent novel about great love and great loss, with a majestic sweep from WWII to Woodstock to modern times. About the memories that change—and save us—and the connections one extraordinary family breaks and remakes. So alive, the novel virtually breathes." Anne Korkeakivi is the author of the novels An Unexpected Guest (2012) and of course, Shining Sea, both from Little, Brown & Co. Her short fiction has been published by such as the Atlantic, the Yale Review, Consequence magazine, and the Bellevue Literary Review, and she is a Hawthornden Fellow. 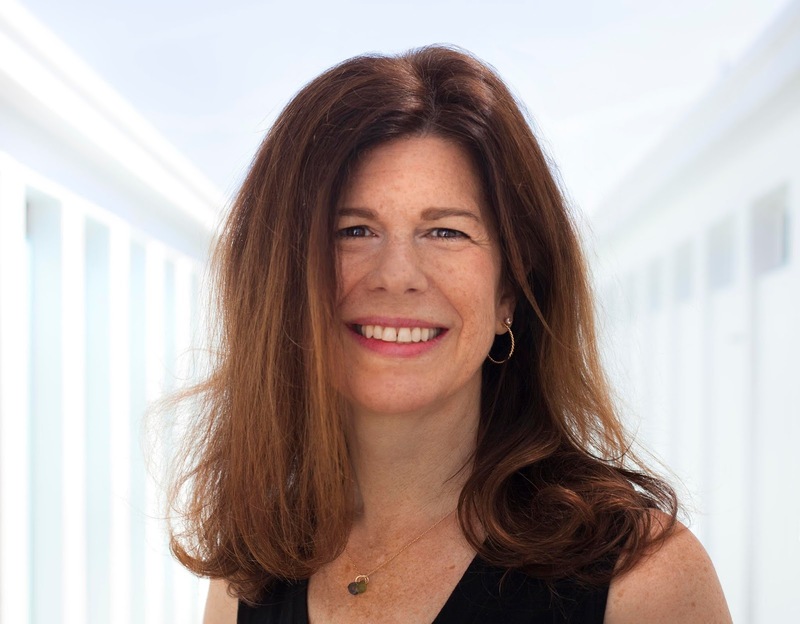 Her nonfiction has appeared in the New York Times, the Wall Street Journal, the Times (UK), Travel & Leisure, Time, Ms., The Millions, and many additional periodicals in the US, the UK, and online. An essay that ran originally in Brain, Child was recently chosen for Best Women’s Travel Writing, Vol. 10. I am so thrilled to hos t her here. Thank you so much, Anne! I always want to know what is haunting an author before he or she begins writing--because usually that comes out in the novel. What was haunting you? What was the spark for this incredible novel? Very first, thank you for such nice words. War haunts me, and all and any violence within humankind. It’s something I think about a lot in a broad global sense. But the germ for SHINING SEA came in a very personal way, with the death of my father shortly before my first novel, AN UNEXPECTED GUEST, came out. In his wallet we found his driver’s license, a few credit cards, some cash, his medical insurance card. And his honorable discharge card from the US Army. My father served--in Italy, as infantry and then a code-breaker--during WWII. He died at age eighty-eight. He’d been carrying that card for sixty years. He didn’t need to have it on him in order to receive veteran’s benefits. His service in WWII was simply that important to him. WWII was incomparably meaningful as well to my mother who was, as the youngest girl in a family of seven children, the only one amongst her siblings not to have served in that war. She lost both family and friends. My own first experience of war was very different. I grew up next door to Columbia University in the 1960s and 70s, and some of my very earliest memories are of angry students blocking the campus’s front gates, incendiary nighttime protests in Riverside Park below my window, and sitting cross-legged beside my big sisters to watch Walter Cronkite give the nightly body count from Vietnam on the television. My parents’ feelings about WWII had to have affected me. But my own introduction to war was diametric to theirs. That dichotomy was the genesis for SHINING SEA. I loved the grand sweep of history, from Viet Nam to modern times. What was your research like, and what surprised you? One of the greatest challenges in writing SHINING SEA was not falling down the rabbit hole. The research it required--given the many time periods, historical events, and locations that are woven into the book--was prodigious. If you include the flashbacks to the Bataan Death March and liberation of American POWs in the Pacific that appear in its first chapter, the novel stretches back all the way from the present to WWII. There also is one brief passage set still further back, in 1929. I studied it all. Although the wartime passages only comprise a few pages of the novel, I particularly buried myself in whatever books, articles, and websites I could find on the American WWII experience in the Pacific arena. This was important to understanding the man Michael became, the man his family remembered and enshrined. The more I read, the more astonished I was that so relatively few works of fiction have captured this hellish blight on history. Close to half of the US POWs in the Pacific died during their three years of captivity. Brutal doesn’t begin to describe their treatment and living conditions. Researching SHINING SEA brought happy surprises too, though. For example, it gave me an excuse to re-watch Michael Wadleigh’s Woodstock documentary and read all the news stories around that iconic festival; despite all that crowd, all those drugs, and all that mud--an absolute mess--there was not a single reported incident of violence. Another positive surprise always is how generous people can be towards writers in their research. One section of SHINING SEA involves a traditional Irish boat called a currach. Finding little published information, I reached out to a currach-builder and sailor in Northern Ireland. He responded patiently to countless emails and eventually spent an entire weekend taking me around Northern Ireland’s wild coast, sharing its beauty and stories and finding currachs for me to see. This was someone I’d never before met! Many other people also were generous with their time and knowledge. Humankind can behave horrifically. Individuals can be so lovely. I also deeply admired that the earth itself seemed to be a character--those terrifying chapters out at sea, the earthquake. Can you talk about that please? Thank you so much for that, and thank you for noticing. 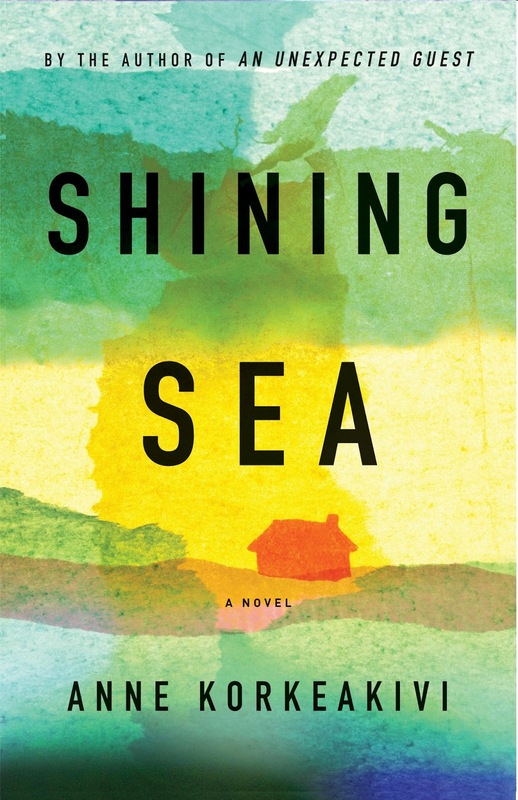 I don’t want to give away too much of SHINING SEA’s story, so I’ll simply note that contemporary history plays an important part in the novel, and in particular American history, and how can you talk about either America or history without talking about the Earth and nature? We are our Earth, even if sometimes we appear to have forgotten this. What kind of writer are you? Do you outline, plan things out, or just try to grab onto that pesky muse? My fiction typically starts with a question and my process typically is to spend ages, before I do anything else, thinking about that question. I turn it this way and that in my head, examining it from all perspectives. My characters begin to come to life, and I’ll spend a long time getting to know them. As the question evolves into the story, and it and the characters become intertwined, I’ll also start researching. Actually putting the words down on paper then goes fairly swiftly. However, I also appear to be the kind of writer who goes back after she’s finished a draft and throws out anything from the first fifty pages to fifty percent of the pages, and starts over. I usually know where I am headed (that place being open to adjustment) but don’t use any sort of written outline for the plot. For SHINING SEA, however, I did create spreadsheets that listed every character’s precise age in every chapter. I kept them taped to the wall above my desk. The word "obsess" frightens me because it bears a connotation of "possess" and I don't want to be possessed. It's not because, as with the character of Francis in SHINING SEA, I’m scared of having someone depend on me; I’m a completely steady and devoted parent, for example. But I won't even drink coffee, because I don't like to become dependent on anything. So while there are things that, were I willing to admit it, obsess me--ranging from the need for sensible gun control in the US to the sweet scent of the linden trees outside my door--at the risk of sounding goofy, I'd rather talk about what’s “impassioning” me. And, as this response indicates, language might be a good place to start. These were great questions: so smart, probing, and original. If anyone wants more of me, they’re welcome to find me on Twitter, Instagram, and Facebook. Or to email me via the contact page on my website. Or come to one of my author events--welcome! Thank you again for inviting me to CarolineLeavittville!